ANNAPOLIS, Md., January 30, 2019 – Boyden, a premier talent advisory and leadership solutions firm with more than 65 offices in over 40 countries, announced that Amy Efantis has joined the Plasma Protein Therapeutics Association (PPTA) as its new President and Chief Executive Officer. 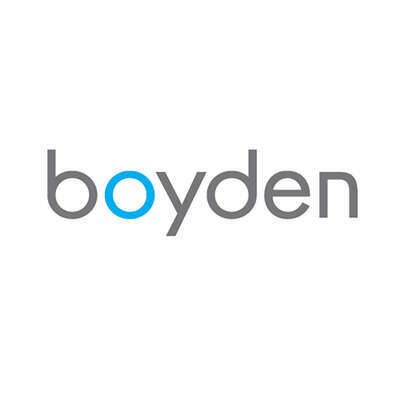 Trevor Pritchard, Partner of Boyden United States and North America Leader, Healthcare & Life Sciences Practice, and Steve Nilsen, Partner of Boyden United States, supported PPTA with the placement. Efantis served most recently as Vice President, Global Public Policy & Government Affairs at Biogen, prior to joining the PPTA, the world’s leading trade association that represents more than 750 human plasma collection centers in North America and Europe as well as the manufacturers of life-saving plasma protein therapies. "We are very pleased that Amy has agreed to take on the leadership for the PPTA at a time of unprecedented change in health care,” said David Bell, Chairman of the PPTA’s Global Board of Directors and General Counsel and Chief Innovation Officer with Grifols SA, speaking on behalf of the PPTA’s Global Board of Directors. “Continued progress in the development of vital and life-saving treatments through the development of plasma protein therapies is critically dependent on the support needed from global stakeholders around the world. Amy has been selected by our Board as we all believe she has the leadership and vision to set the course for PPTA's future." Previous to her role with Biogen, Efantis held roles with Boehringer Ingelheim and PhRMA. She also worked on Capitol Hill as a Congressional Legislative Director and, prior to this role, advised Congressman Thomas Barrett (D-WI) on various House Energy & Commerce Committee issues, primarily in healthcare policy. The Plasma Protein Therapeutics Association (PPTA – www.pptaglobal.org), a global industry trade association, represents the private sector manufacturers of plasma-derived and recombinant analog therapies, collectively known as plasma protein therapies and the collectors of source plasma used for fractionation. Millions of people use these therapies worldwide to treat a variety of diseases and serious medical conditions. PPTA also administers standards and programs that help ensure the quality and safety of plasma protein therapies, donors and patients.